JNS.org – Israel’s military intelligence chief on Wednesday said that another war between the Lebanon-based Hezbollah terror group and Israel would make it difficult for Lebanon to bounce back. “If there is another war, Israel will recover and rebuild,” Israel Defense Forces military intelligence chief Maj. Gen. Herzl Halevi said at the 16th annual Herzliya Conference. “We are a strong society, an advanced society. Lebanon will become a country of refugees that will have difficultly recovering, and Hezbollah will lose its political support base,” said Halevi. Syria has been manufacturing weapons specifically for Hezbollah, according to Halevi, which may be opening up the door to another Lebanese conflict with Israel. Those weapons were “meant to combat against Israel” rather than being used for the Syrian civil war, Halevi said. “The world shouldn’t accept this. It is a violation of [United Nations] Security Council Resolution 1701, passed after the Second Lebanon War, and Israel shouldn’t accept it, either. To a certain extent this could move up the outbreak of another round of conflict,” he said. 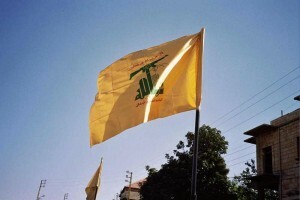 Additionally, Halevi said that Iran has been providing Hezbollah with weapons under the guise of helping the terror group fight in Syria, but some of that Iranian weaponry is being transferred to Lebanon. “This is also something that neither the world nor us should ignore,” he said.